Sparkle white dance floor with a twinkle light are perfect for a romantic starlit night for a wedding or party event. 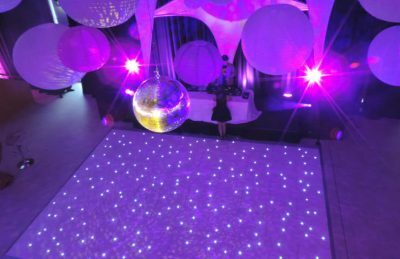 No one wants an empty dance floor at their reception so here’s how to start the party—and keep it going strong. 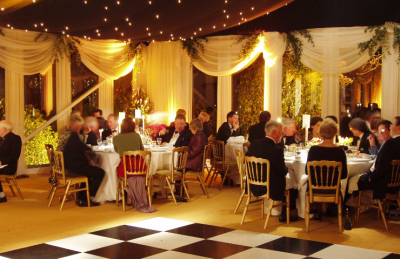 Our dance floor is firstly polished and cleaned to a high standard. 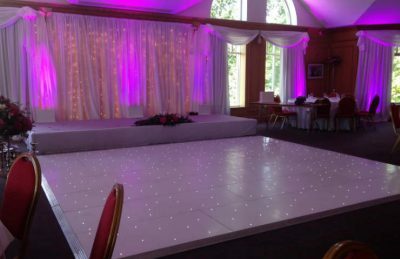 We hire our sparkle white dance floor within our event or wedding packages therefore it has a high standard that is expected when delivered to your venue. Secondly, it offers various lighting patterns to suit the times of your event. For example, when your guests enter the ballroom, a soft twinkle light is suitable to soften the dining and socialising experience. 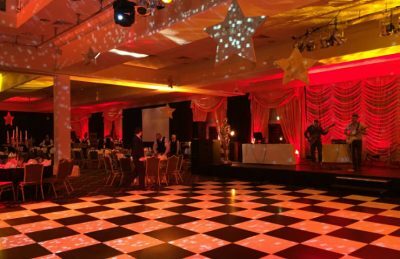 Additionally, When the evening event livens up a little, a quicker movement with the dance floor lighting can get the party started. 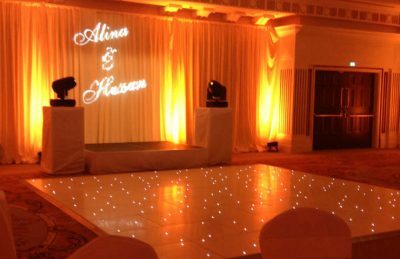 Furthermore, a vinyl decal on the dance floor can speak to a couple’s personality and a reception’s style. 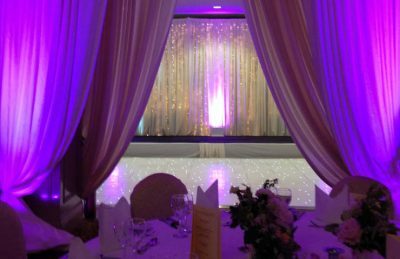 To have your joint initials entwined or to have a special date adhesively engraved onto the dance floor will allow you to personalise your event. This would be an additional cost yet a personal touch to the dance floor hire. A corporate logo can also be introduced to incorporate branded colours. 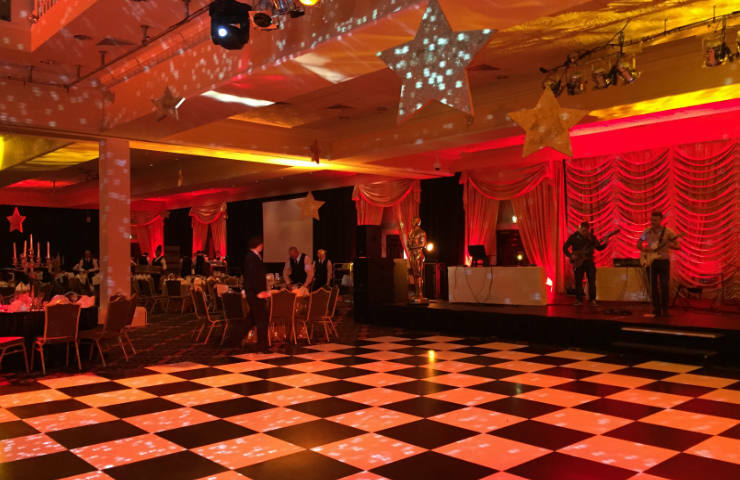 Gobo projection lighting also can be equally effective to transform your dance floor. 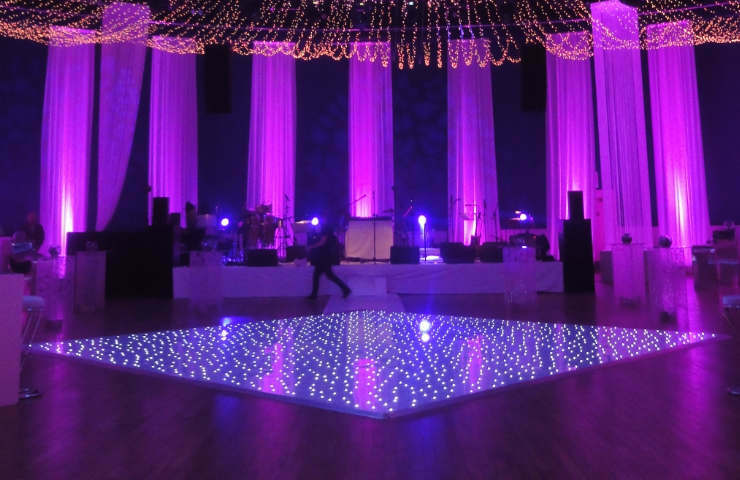 The gobos can have your initials projected through light, mounted to your dance floor. When the dancing is in full swing, the initials will move slowly around the room in a soft light projection. We can also introduce a design of a soft cherry blossom stem floral pattern to complete the look for this event. 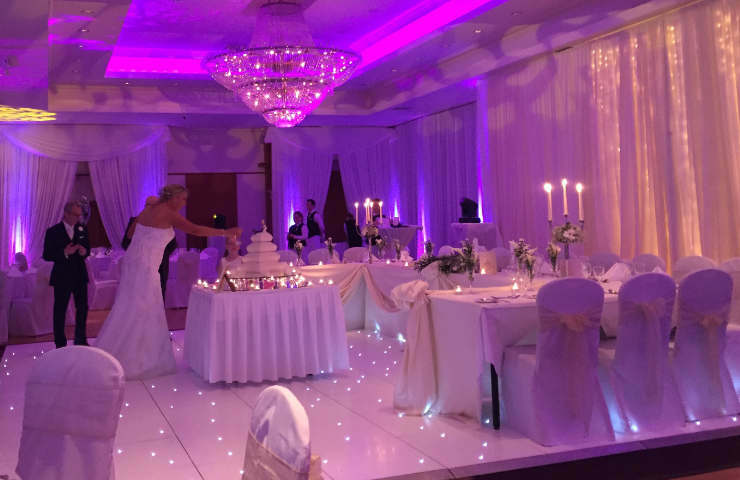 To add injections of your theme are also an effective decorating style to add to your event or your first dance. The styles are endless and the only limit is your imagination!